I want to buy this phone? But can yous guys tell me that when is this going to launch in India? camera is impressive ,battery is excellent UI is friendly and lot of fun. im a g2 mini and xperia m2 user. i love my two phones but my favorite is G2 mini it has better screen and better camera also slightly longer batterylife. the screen on G2 mini is almost the same as 720p on other phones the IPS qHD is really bright and good viewing angle also sharp. internet connection is faster on g2 mini than my Xperia m2 using the same network in my country. i recommended both but if you want better camera and video recorder choose G2 mini, if you want music choose Xperia m2! lion4, 13 May 2014LG mini support otg?GSMArena said it support USB OTG, but i can't make it works. GSMArena also said "The LG G2 mini has great earpiece volume and there are also native video calls available right in the phone app." but i can't find native video call menu anywhere. this phone is really amazing! very comfortable to hold in my hand nice job lg! "Moto X (which costs about the same as the G2 mini!)" No it doesn't.. I don't know where you get it in the same price. But G2 mini cost about $250 and Moto X cost $550, so I could buy TWO G2 mini in the price of moto x.
one of the best Midrange phone today! all in all this phone is worthy to buy! Bought this phone 2 weeks ago. I'm very happy with the g2 mini. Smooth, fast and the size is just right. With regards to the display, for me it is acceptable since this is a mid range phone. 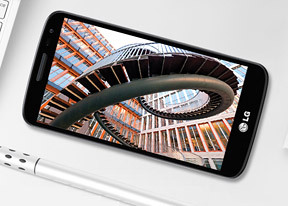 Don't compare it with its big brother g2 or the s5 since they are at the high end spectrum of the smartphone market. The g2 mini is highly recommended! i bought one unit G2 mini and its great phone. the camera is even better than galaxy s3 and the battery is long lasting! tahrey, 22 May 2014Can someone please tell me how in all the bloody hell a 4.7" phone with a 130 x 68 x 10mm... moreBecause it's a miniature (smaller) form of the original G2. Hence G2 mini. Why is this difficult to understand? larger screen, good camera, good features. Can someone please tell me how in all the bloody hell a 4.7" phone with a 130 x 68 x 10mm body counts as "mini"? It's effectively the same size as the Desire HD was a couple years ago, and that was a "large" phone at the time. The only thing that even vaguely counts is the weight. You can't go around slapping "small version!" badges onto SUVs (and removing half the seats to save weight) and thinking that it either automatically makes them small, or that we're going to believe that they are. Bring it down to 120 x 60 - IE only a razorblade or two larger than my current Desire S - then we'll talk. Until then, LG, please rebrand this as the regular "G2", and the other one as the "G2 maxi", or I'll have to get the ASA round with a copy of the trades descriptions act. PS what's going on with the Flex? 82mm wide? Who is that for, a gorilla? Anonymous, 09 May 2014because of build in applications and files. you can re boot if you want . or buy sd card It only means that internal mem is 8gb and 4gb of that is used on biuld in apps.